Home > LIVING WREATH FORMS - THE BEST ON THE MARKET! > Horse Head Sphagnum Moss Living Wreath Form 20"x 24"
Three dimensional rigid wreath form filled with long fiber sphagnum moss and secured. Built with same quality standards as all of our products. This living wreath form designed and created by Stefan Przystanski. All photographs and designs appearing on this site are the property of Stefan Przystanski and Topiary Art Works & Greenhouses, LLC. They are protected by U.S. Copyright Laws, and are not to be downloaded or reproduced in any way without the written permission of Stefan Przystanski & Topiary Art Works & Greenhouses, LLC. 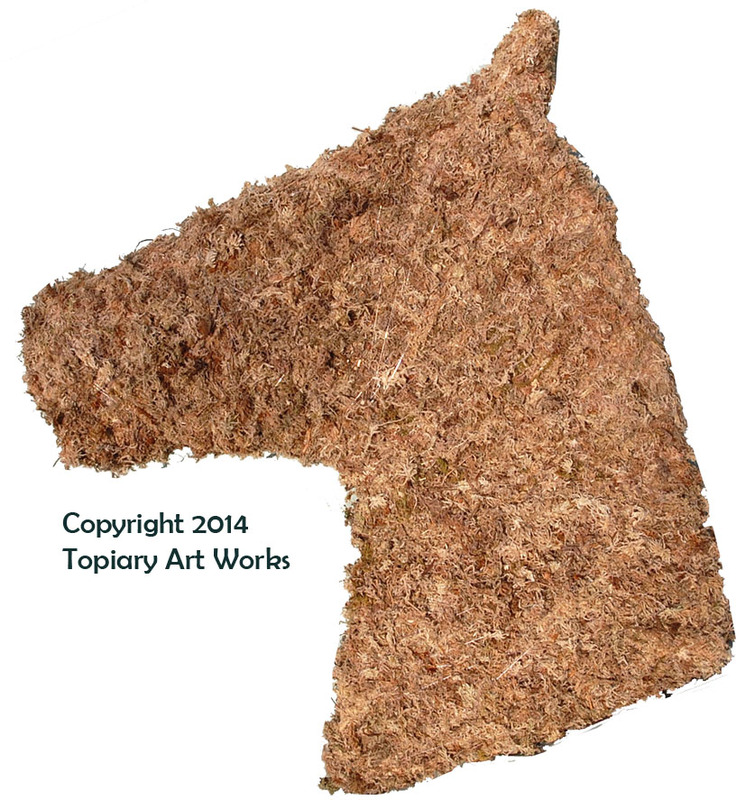 Copyright 2014 Stefan Przystanski/Topiary Art Works & Greenhouses, LLC. All Rights Reserved.